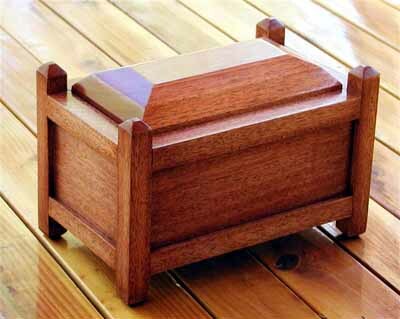 TJRON - Part 1 - Chest Box w/Const. notes. What are the dimensions of the first, square box? If it is small enough to sit on a desk, the tops of the legs must be pretty small. How are the sides attached to the legs? Is it mortise and tenon or just end glue? In the round box, how did you make it? I see the inside centers are six sided. Again, nice work that's very interesting. The first box is 7"x11"x7" including the legs. I think I'll use the "A picture is worth...". On the first box... is the lid just sitting on top w/o any hinges, etc.? 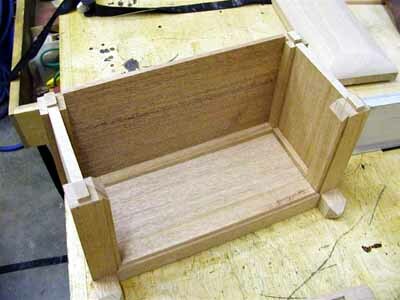 I thought you turned a big dowel, cut off three pieces, and made a band saw box by cutting the top/bottom slabs off, hollowing the middle, glueing back the bottom, and making the tops... Seems like you may have done it the hard way... (???) Really cool! I really like the M&T and T&G methods used in the Top box... Very clever... Really had it designed!! Were the only places glued, the tenons in the corners... 2 @ top and 2 on bottom for each corner... rest floating...? Yes? No? The lid just sits there. It's made from a chunk of 8/4 mahogany, end grain and all. 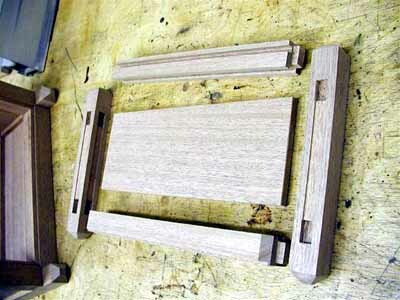 Yes, just the mortice and tenons are glued. 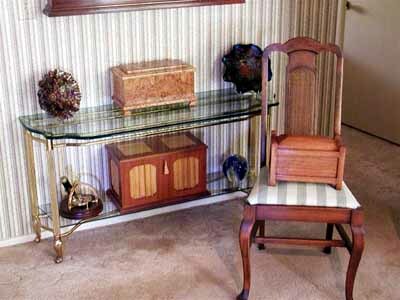 It's like a small piece of furniture. As far as the round box (my wife calls it the moon box) goes, I had no idea it would be a box. It was made from some wood a guy gave me years ago. He said it was from an old table and it was full of nail holes. Rather than throw it out (I hate throwing wood away) I decided to cut it up and make a billet to practice on the lathe. The idea for a box came when I just couldn't throw it away. I make a lot of boxes for fun as I certainly have no need for them. I usually give them away. This year I need eleven for Christmas presents for my grand kids. They're fairly cheap and the designs usually pop into my head. I rarely use the same design twice. I've posted a few of the more unusual ones here and would be happy to post more (and some again) if you'd like.